After beating my head against a wall for the past three days, I finally overcame my mental block and was able to get audio streaming from iTunes to my Linux box. This was to help facilitate the production of a video that will be the subject of my next post. For this project though, I had to jump through a good number of hoops to get the streaming going. 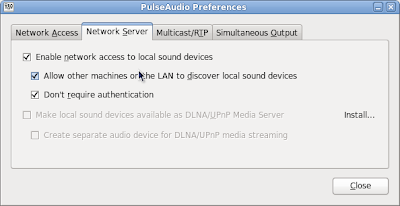 The side benefit was that the project allowed me to educate myself on the benefits of PulseAudio, which I had previously believed to be a piece of crap that only served to bollucks your workstation's audio. Now that I have a better understanding of PulseAudio, I've changed my mind. Here's an article on why you might want to care about PulseAudio. 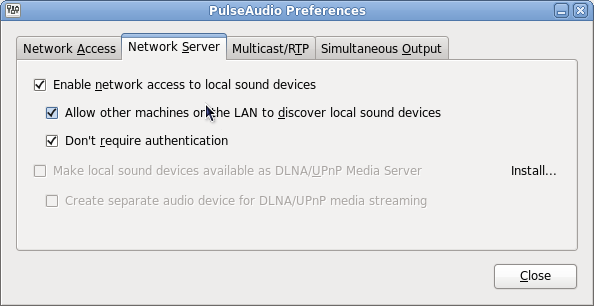 Still, the implementation of audio streaming over the network using PulseAudio is somewhat programmer-centric and thus, it is not easy. The faint of heart might choose to simplify their lives and buy one of these Apple AirPort Express with Air Tunes . 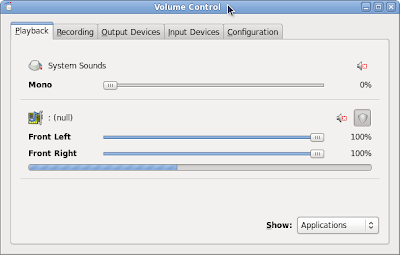 This post will give an overview of the tools used to stream audio from a Mac running the Enlightment Sound Daemon (ESD) sound server to any PC running PulseAudio. I'll include links to the more detailed resources, rather than repeating information already available on the web. Here's an overly simplified signal chain of what's happening to make this work. 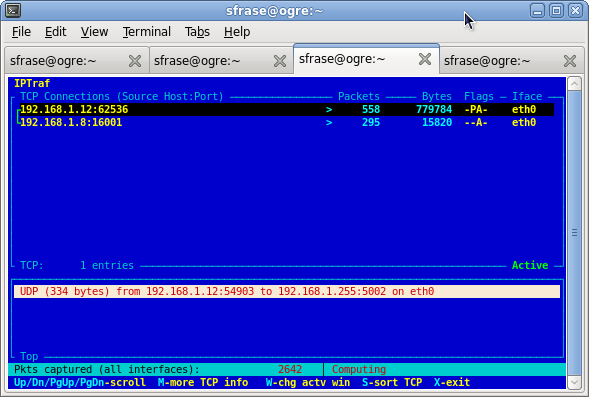 For debugging purposes, enter the commands below in separate terminals. In both cases, if the commands execute correctly, the command prompt should not return to you. Here are some other notes regarding pacmd, the command line interface to PulseAudio. I'm not sure why the stream from the mac is listed as null. 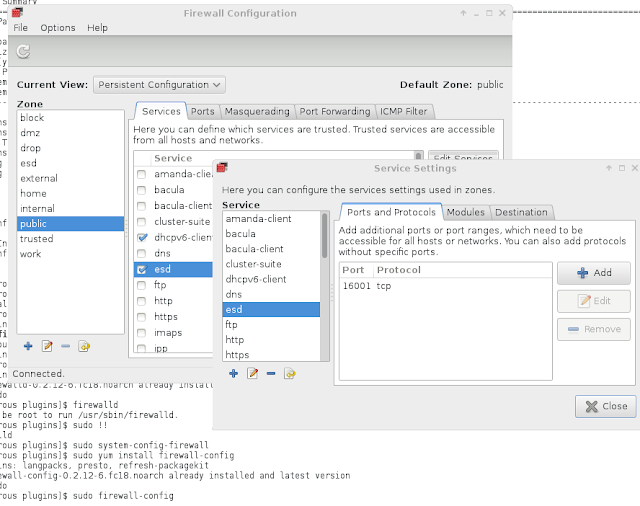 Most likely, the Linux box initiated the connection from 16001 and the Mac responded back by opening port 62356. 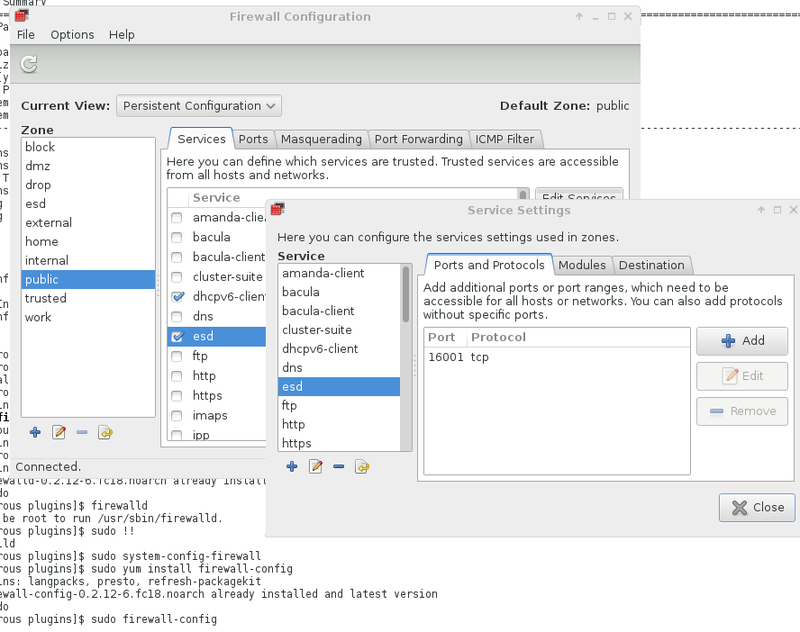 I am not sure how ESD works in this regard either, as the ports identified on the ESD command line would suggest that the Mac should have port 16001 open and not the Linux box. Weirdness. 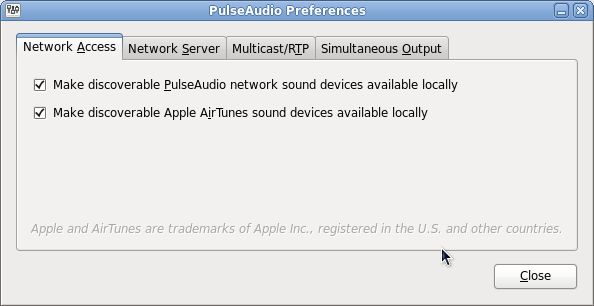 Of course, I needed to stream from the Mac and there is no port of PulseAudio for the Mac. Still good stuff this PulseAudio, once you understand more about it. 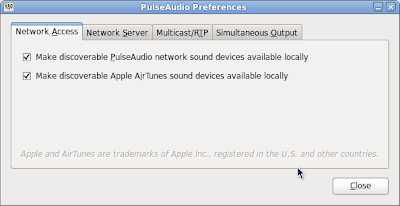 Would cause your connection to display as "Macintosh" in the pulse audio playback devices .. instead of 'null'.